At this phase of my life, I am looking to share my experience, knowledge, reach and funds for the less fortunate but extremely talented individuals. Our farmers who were once living like a king are now committing suicides on a daily basis. I cant't be blindfolded so I've decided to make a change or atleast be the medium. This campaign is for Dattu Bhokanal, who fought against all odds to fulfill his/our dream for Rio Olympics in 2016. 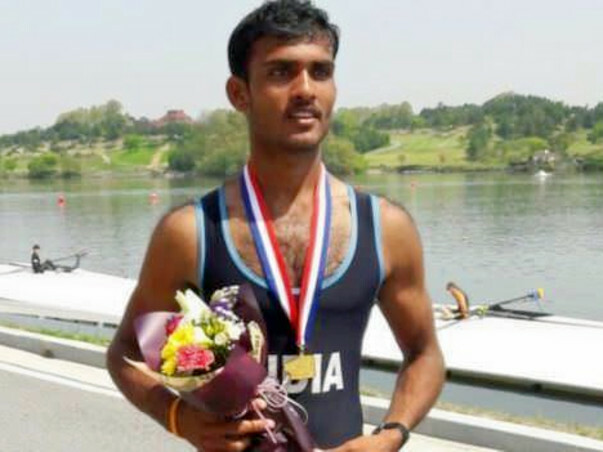 Dattu Bhokanal has become the only Indian rower to qualify for the 2016 Rio Olympics. BBC Hindi's Vidit Mehra speaks to him about his journey from a drought-hit village to one of the world's most-awaited sporting spectacles. Bhokanal qualified last month after winning a silver medal in the men's single sculls event at the Asian and Oceania Olympic Qualification Regatta at Chung-ju in South Korea. But there was little time to celebrate because he had to quickly return home to see his ailing mother. "After coming back from South Korea, I went to the hospital to share my achievement with my mother but she didn't recognise me because of her illness," he said. But Bhokanal is upbeat about not letting his family problems come in the way of fulfilling his sporting dreams. "I will continue to work hard to win a medal for my country in Rio," he said.